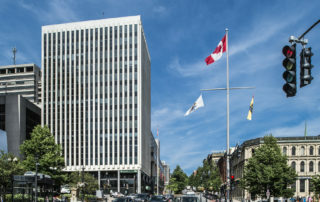 Located at 44 Chipman Hill, Brunswick House is Saint John’s original Class A high rise office building, with over 100,000 square feet on 14 floors. 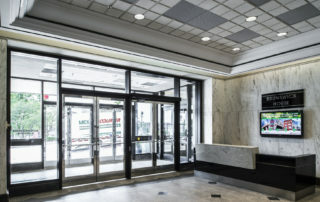 Maintained to exacting standards, this property is home to many of the region’s top financial, legal and consulting service providers. 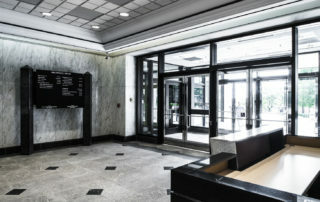 Brunswick House is at the centre of the “Inside Connection”, a climate controlled pedway system linking to Uptown Saint John hotels, shopping, dining and entertainment. 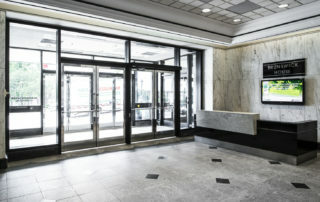 Tenants enjoy a central location with breathtaking views of Saint John Harbour. 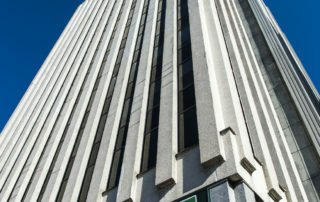 Recently, Commercial Properties Limited has made significant investments in building infrastructure contributing to energy efficiency and tenant comfort. 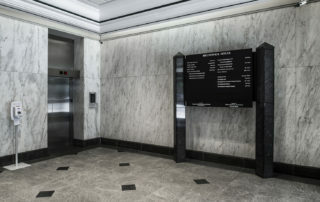 Along with wall renewals, window replacements and common area upgrades, we have completed a major project to replace the heating and cooling plant of the building. (Some exciting footage of big crane lifts can be seen here)! 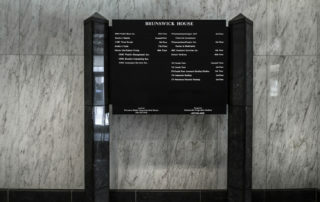 Brunswick House is certified as a Silver level BOMA BEST building for environmental excellence and building management. 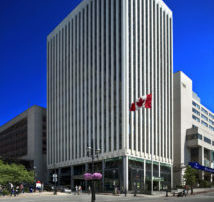 We are proud to have been the first privately owned building in NB in to receive a high level designation for BOMA BEST, awarded in 2009.